Four Js – ReGenerating Solutions Inc.
Watch this short video to learn what Genero can do for you. As you can see below, Four Js Genero integrates with your existing IT landscape – no need to reinvent….recompile and deliver with extreme flexibility. For more information on the How’s and Why’s of Genero development, check out this site, and then call ReGen to learn more. Click here to see how easy (and free) it is to learn Genero development! These no-cost, self-paced videos teach how to write, compile, and run a graphical application that creates, modifies, and reports on data stored in a database. 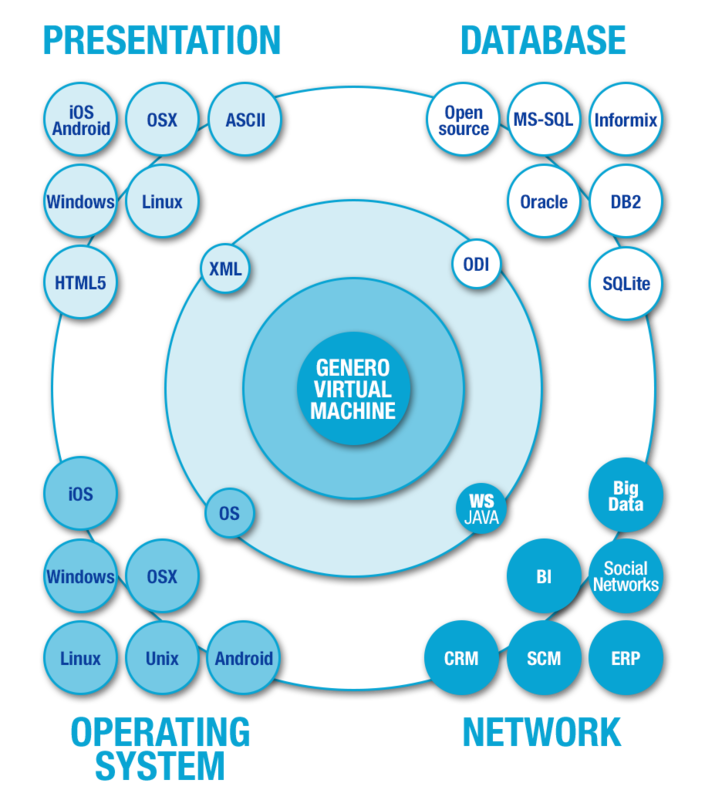 Now you can see how efficient it is to use Genero for your business application development needs. Fill out the form below to get information.